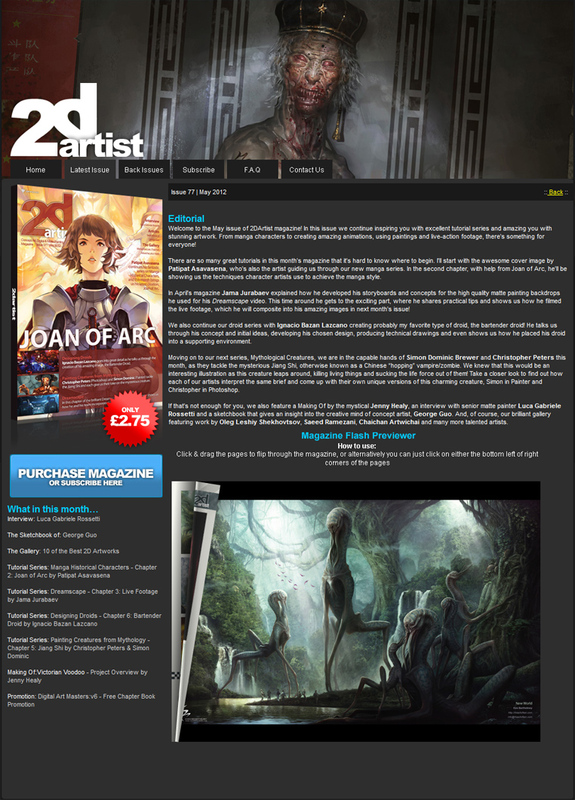 2DArtist is the magazine for CG artists around the globe, whether you already work in 2D or are just getting started. 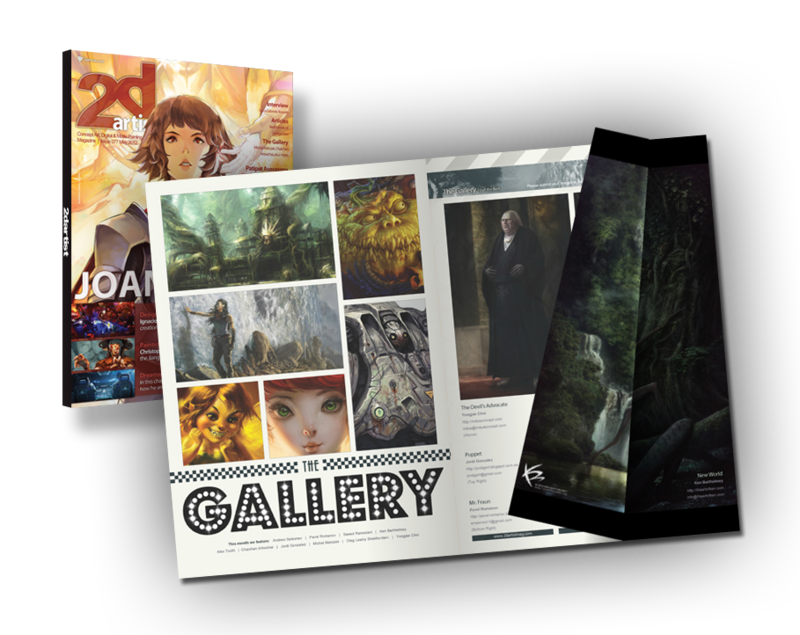 Each issue is full of techniques, tutorials, interviews, articles, project overviews and galleries – providing the perfect platform from which to improve your 2D skills, learn from the professionals and get inspiration for your next project. The Gallery: 10 of the Best 2D Artworks, for free!